In the early morning hours of Saturday, June 30th Jason passed away when he was in a tragic motorcycle accident involving a drunk driver. Jason was traveling to his home after attending a motorcycle club event with his beloved Diego Deuces Motorcycle Club in San Diego, California of which he served as Vice President of the Club. In these sad times also come unexpected end of life decisions and expenses Jason’s family was not prepared for. For those of you who may not know, Jason and his sister DeShaunta lost their mother unexpectedly in January also in an auto related accident. Many people have reached out asking how they can help? We are starting this fund to help cover expenses including: cremation, memorial services, after life expenses and travel expenses for Jason’s immediate family to attend to affairs in California. 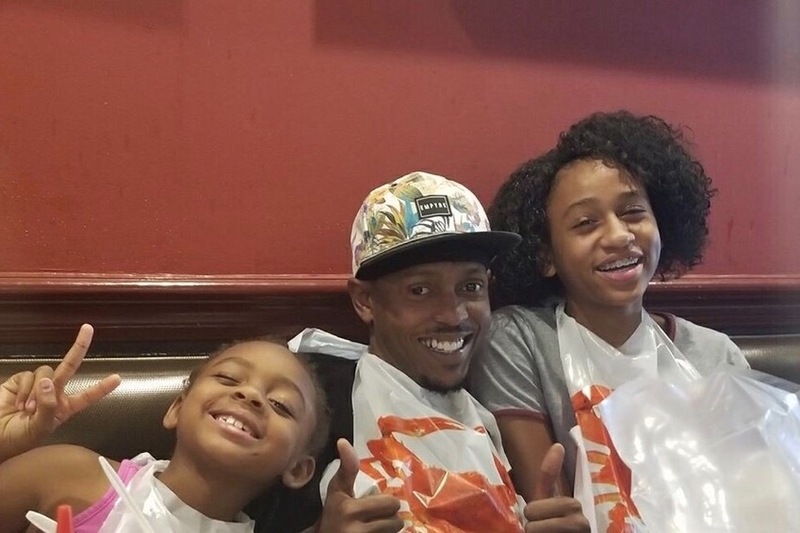 For nearly 20 years Jason has been building a life, a business and a family, including his two daughters Dasia and Samiah and girlfriend Krystle on the west coast. Jason was a Navy Veteran and the military will provide a full military graveside ceremony on Friday, July 20th at the Miramar National Cemetary in San Diego, CA at 1:30 PM. Immediately following the burial, family and friends will gather to eat and share stories of Jason’s life and his many adventures. Jason was from Fairmont, North Carolina; his family is currently planning a memorial service for friends and family on the east coast at Mill Branch Baptist Church on Friday, July 13th from 5 - 7 pm. While the family works to settle Jason’s affairs, any extra monies will be set aside for Jason’s daughters, Dasia and Samiah. Your love and support for Jason’s family, whether thru texts, calls, Facebook posts and donations to this fund are truly a blessing during such a difficult time. The outpouring of love, support and messages sent to our family over the past few days has been amazing. Thank you all for loving our family during these difficult times.